Any band that has supported PEACE is probably worth taking note of, after listening to JAWS and Superfood. A debut EP is as important as the first cup of tea of the day, as it can determine how things will pan out, a bad cup of tea can ruin any day. The task of recording it and realising it is daunting as well as exciting, because you can’t wait to let it out into the world, but you still want it to be well received. With this in mind, Weekender can be pleased with themselves. 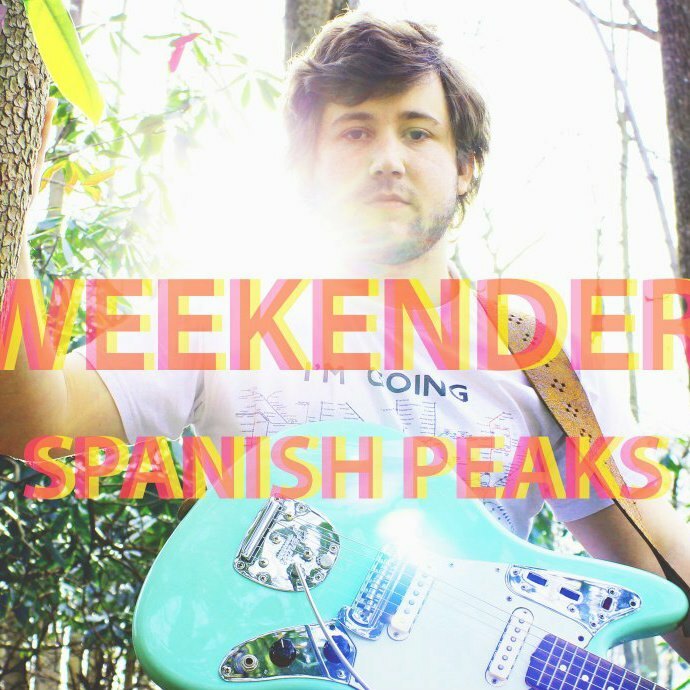 The EP ‘Spanish Weekends’ is just a burst of energy from start to finish, with heavy riffs and obsessive melodies sprayed all across the EP. The production of the EP is most impressive, as it sounds like something that has just come hot out the oven from Abbey Road Studios, with everything sounding as clear as a bell. The first song ‘Spanish Peaks’ is any shoegazer fans dream, as the astral sound glistens throughout the song as the heavy reverb plays an important part to it, and it also remains catchy and attractive. Although these are lengthy pieces of music, they maintain your interest like a talking cat on youtube, as the vitality and the stride remain in each song, so you can’t really stop listening. They close things of with more of a sentence than a song title in ‘Don’t hide you have a voice’, a beautifully mellow piece starring a banjo and some soft vocals to accompany them. Once they’ve got you settled down in your nice, comfortable chair BANG!, The hypnotic energy that’s been present throughout returns and produces something that George Harrison would’ve come up with, it’s that good. Overall the EP is a complete an utter blast, that refuses to let you go until the EP finishes. Hopefully this will not be the end of Weekender as I’m sat here, waiting for the next piece of music to be released.